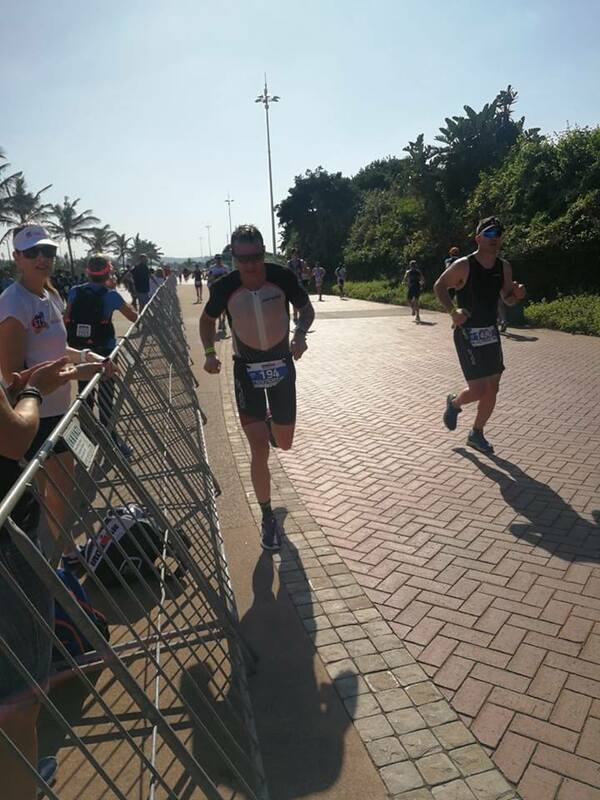 Durban 70.3 is a difficult race for us as Coaches. Athletes often ask what pace what time they should be looking to do, and with Durban it is very difficult to predict. First up is the swim going to happen, what will the conditions in the water be like? The bike course has some challenges of its own with 3000+ athletes looking to ride on a 40km loop, the reality of drafting and how that will impact on your bike time, your competitors bike time and also the carry on effect onto the run, predicting outcomes becomes like choosing lottery numbers. Dinamic had a small group of 10 athlete from Cape Town going up to race in Durban, with an almost even split between first timers and people hoping to challenge for a Worlds Slot, so everyone had nerves going in. Happily for most the race despite some challenges went well. Donovan Geldenhuis had a superbly paced race to win his age group and take 2nd overall. This is really impressive as for four weeks leading into the race he had been rehabbing an Achilles strain and had done little to no running. With the nature of the course it was evident that this was a race that was going to be decided on the run and obviously this was a concern. After a controlled Swim (15th fastest of the day) a strong bike (2nd fastest) which forced his opponents to work hard on the bike and hopefully impact on their run. Onto the run and in the opening km four athletes surged ahead leaving Donovan in 4th. 21km is a long way and especially in windy conditions after a taxing bike. Donovan stuck to a steady pace which he was confident he could hold (and the Achilles could cope with) and only in the last 5km did he put on the after burners. These vital km’s saw Donovan increase his pace while others slowed and he raced into 2nd place with the 2nd fastest run of the day. Brave and clever racing. Also coming in under the radar was Kobus Meyer. A couple of disappointing races this season saw Kobus determined to get this one right. A solid swim backed up by a bike where the ego was kept in check and riding to numbers was the strategy left him with the legs to run a 1:26: 21km and take 3rd in his very competitive age group. While these two did brilliantly to get onto the podium the performance of, Andy Hetherington, James McCallum along with Hannalie Van Tonder and Leana Schlengers to get Worlds Slots means they will be joining the other Dinamic Athletes lining up in September for Worlds. Success is great and it is more obvious when you can point at wins and podiums but success can also be simply about achieving your goals and this being the case well done to Penny Janine and Tom who all did superbly to get across the finish line with a smile. Now time to relook goals and start focusing on what is to come. 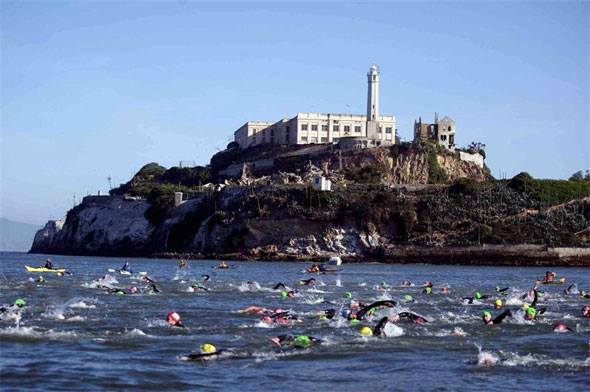 Meanwhile over on the other side of the world Bianca and her trusty sidekick Scott were looking to make the Iconic Escape from Alcatraz. This is one of those races that should be on everyone’s to do list. Rather than spoil the feedback with my ramblings Bianca is going to be sending a race report on her experience, but let’s take a moment to say Wow to her for having that rare and mythical thing that I call a Unicorn (a race where you are happy with swim, bike, run, transition and nutrition.) This all added up to taking 3rd in a truly international quality event.